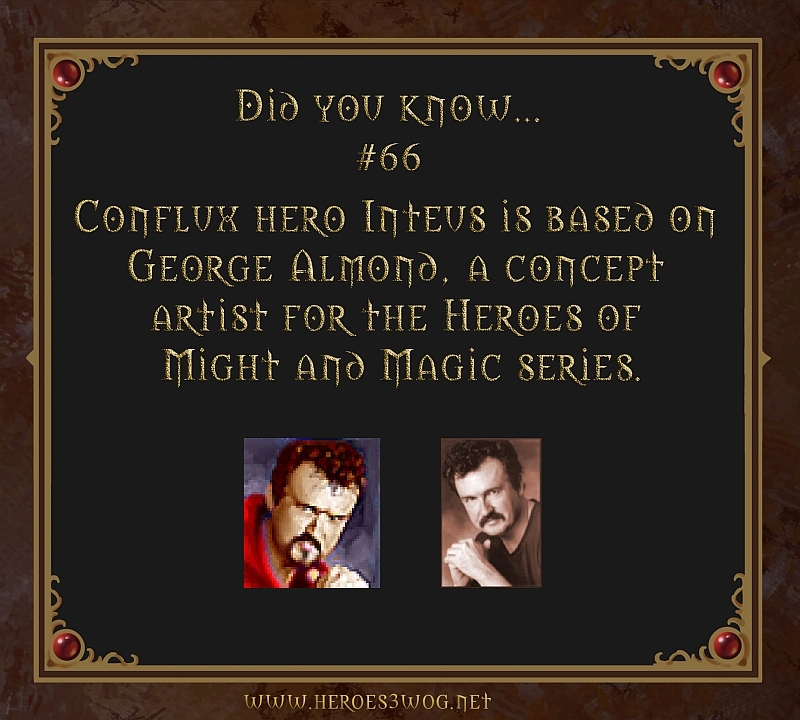 #66 Conflux hero inteus is based on George Almond, a concept artist for the Heroes of Might and Magic series. 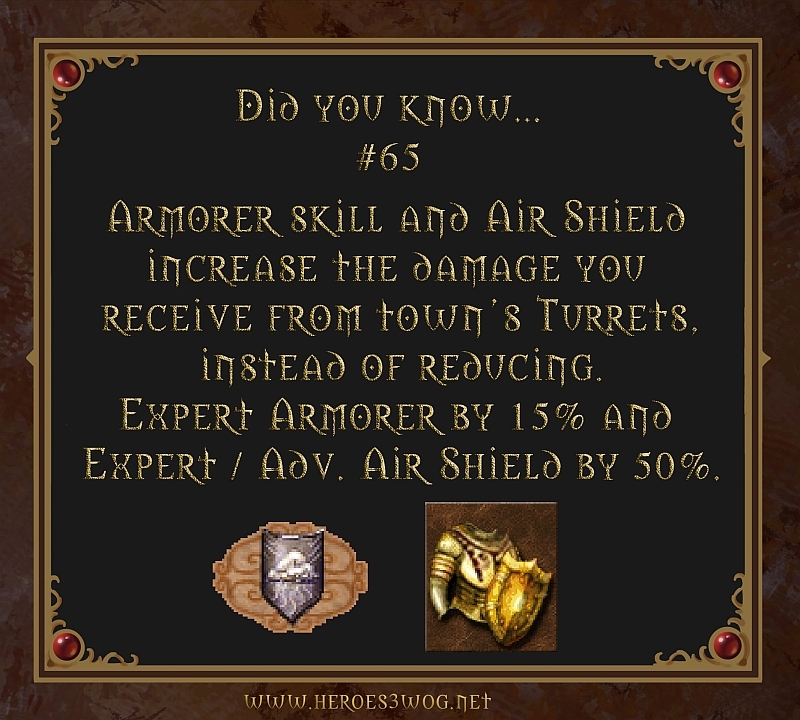 #65 Armorer skill and Air Shield incrase the damage you recive from tomns Turrets, instead of reducing. 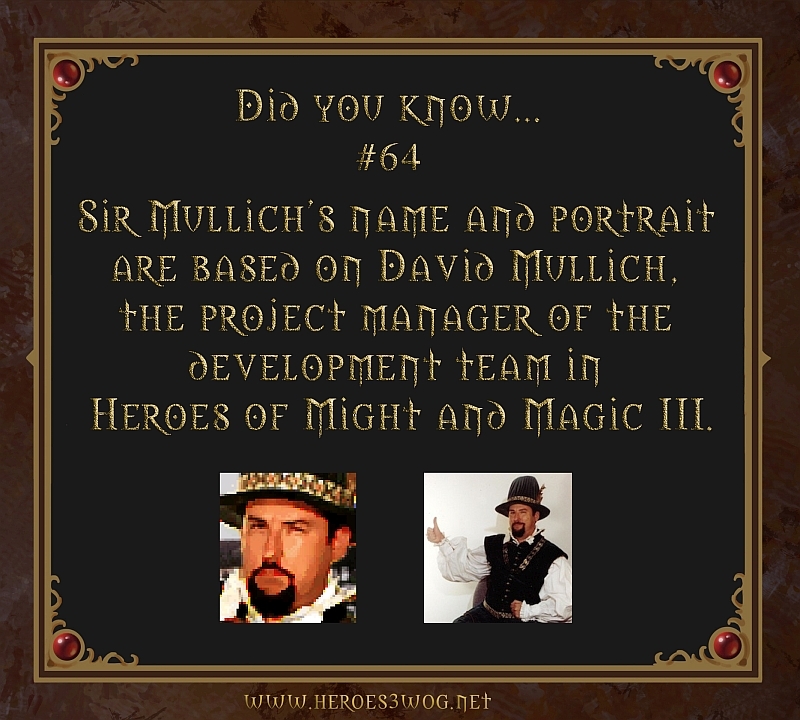 #64 Sir Mullichs name and portait are based on David Mullich, the project manager of the development team in Heroes III. #63 After a Hero defeats dwelling guards the dwelling may be reflagged any number of times in that week by any other player without a fight. The Guards will return at the start of the next week.